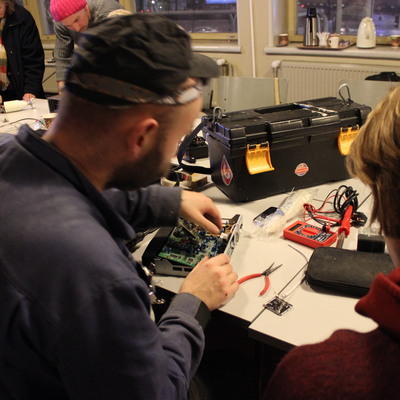 Each month during 2013 we organise and promote a Trashlab Repair Cafe event at a different location. Arkadia International Bookshop (Nervanderinkatu 11, Helsinki) hosts September's repair cafe event on Saturday 7.9. from 12.00 - 17.00. 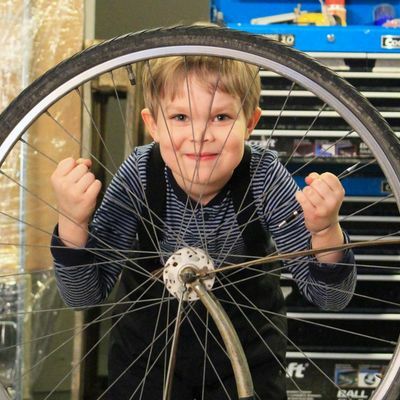 It is likely to be the biggest Trashlab repair cafe 'fix-fest' so far! Don't miss it, Tervetuloa, welcome! Arkadia is a large second-hand bookshop and a venue for a wide range of events. They offer space for tranquility, writing and thought. They also have a chapel, a piano, a pool table, a boa and much else that is appealing. They take great pride in being a cheerful, combative and absolutely independent bookshop. Wood, electronics, clothes...! We gather some of the highlighted experts from the past 6 months, a Repair dream-team of Charlotte Remming = Fabric/fixing with thread; Merja Puustinen = Darning/fixing with wool; Andy Best & Albert Laine = Electronics-advice; Jelle van der Beek & Nicholas Torretta = Wood-work.. All offer to help out with various needs and fixes. However, we are also seeking someone with experience of fixing books.. Is that you? Entrance is free but a donation of €3 (or more!) to fund the event is suggested and would be most welcome. Show your attendence by joining our Facebook events, here or here. Trashlab repair cafe events are social occasions to gather and try to fix the things you have that are broken, and meet others who care about tinkering, fixing, hacking, and the problem of waste and obsolescence in society.Each time they try to identify some people in advance who have some experience/skills, although everyone is encouraged to help each other. 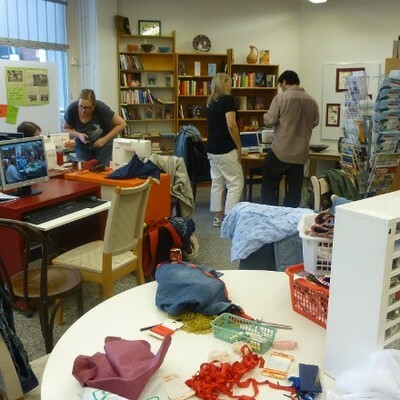 Post: Trashlab repair cafe at Arkadia international bookshop 7.9.